The Sony Xperia XZ3 is Sony's flagship smartphone and comes with an improved OLED display with curved edges and a 19MP Camera with Motion Eye. Select your desired options to find the best Sony Xperia XZ3 deals for you. 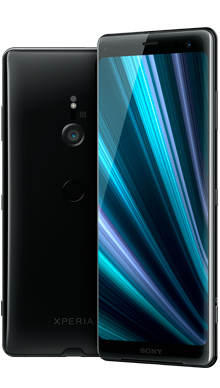 The Sony Xperia XZ3 is a stunning smartphone that brings Sony design and technology to the table in one perfect package that is going to have fans on the edge of their seats. Sony has a loyal following and has always made handsets that are well received. This is down to their ability to read the market and know instinctively what the customer is looking for when it comes to their mobile phones. Their latest phone the Sony Xperia XZ3 has received some pretty impressive new technology advances and is being proudly touted as the new Sony flagship. The price tag suggests that this handset packs a pretty powerful punch and we have to say it really does. 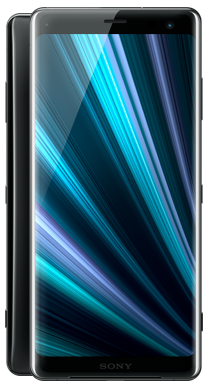 The XZ series have been respected as fantastic smartphones for some time, and it was only a matter of time before they upgraded some of the features. The arrival of the Sony Xperia XZ3 has turned heads as people can see once more that Sony has triumphed again. This handset is going to be popular and with just reason as there indeed is quite a lot to write home about. The Sony Xperia XZ3 is, without a doubt, an attractive handset. 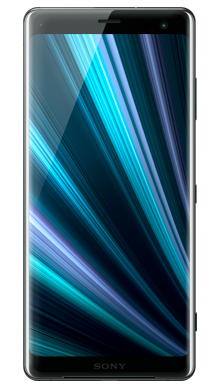 While it shares similarities with the mainstream smartphone design of the day, it has managed to bring a unique styling that is very high-end. 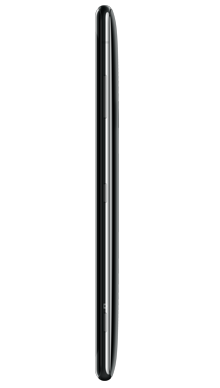 When they released the Sony Xperia XZ2, Sony did away with the OmniBalance design that they had favoured for years and instead introduced the new loop design. The Sony Xperia XZ3 follows this plan but brings its own twist in the form of more curving at the front to create a really delightful look. The screen has received a considerable upgrade, and while we still have the edge to edge, bezel-free infinity screen, it is the internal workings that have been massively upgraded. Sony has decided to say goodbye to the IPS LCD screen and instead has added an OLED display that has a crossover with their television technology to ensure a seriously stunning performance, and features QuadHD+. 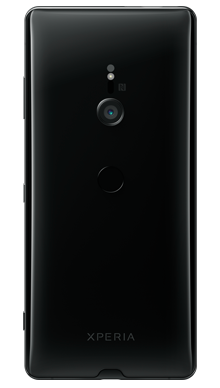 One thing to note is that the Sony Xperia XZ3 is pretty much made of glass, although it has been treated to IP65/68 water and dust resistance. That said it is not going to fair well if dropped so as usual, we do recommend that cases are used as the inconvenience of a broken phone doesn’t really bear thinking about. The Sony Xperia XZ3 comes in four different colours which give you a great choice of personalisation options. You can choose from the more traditional black and white/silver or opt for one of the newer colours, Forest Green and Bordeaux Red. The tones are really soft and muted and not at all loud which is actually quite lovely. Sony is actually pretty good at audio on their handsets, and the Sony Xperia XZ3 is no exception. Audio offers stereo speakers that feature S-Force Surround Sound, the Dynamic Vibration System and hi-res audio support giving an all-around winning performance. The Sony Xperia XZ3 is another phone to have the standard headphone jack taken away, so you will have to use the adaptor or wireless headphones, but this is a great handset from which to stream music. When it comes to the camera technology, the only difference between the Sony Xperia XZ2 and the Sony Xperia XZ3 is the front-facing camera. This has been included in the technology upgrade and is now an impressive 13MP which is good for a front camera. You also get access to the Sony 3D creator, but there is no iris scanning or facial recognition. On the rear where things stay the same, you will see the now familiar 19MP single lens with Motion Eye. If you want to capture video, you can do so in HDR and get 960fps slow motion if required. If you were to look inside the Sony Xperia XZ3, you would see the expected Qualcomm Snapdragon 845 processor. With 4GB of RAM and 64GB of storage you might be forgiven for thinking this was a bit meagre, however when you remember that the Sony Xperia XZ3 has a microSD slot things suddenly seem better. What is really good is that the expansion capability via the SD card is 512MB. Sony has updated the battery making it a 3330mAh, and this is a wireless charging headset partnering with QI. The wired charger is a USB-C. As noted about the phone does not have any facial recognition capabilities, so when it comes to biometric security, you are looking at the fingerprint scanner which is nicely responsive. Because this is an infinity screen, the fingerprint scanner has been located in the popular location under the camera. With a unique look and such a good range of features, it is rather a case of what is not to like when it comes to the Sony Xperia XZ3. The handset is going to suit a wide range of users and when combined with our deals is set to be a really big hit. When it comes to getting a great deal, we like to give our customers the most significant choice of pay monthly mobile deals and the Sony Xperia XZ3 is no exception. At Metrofone, we partner exclusively with EE because we know that this gives our customers the access they need to the best in connectivity and network service no matter where they may roam. Added to this, EE has also provided a stunning range of extra benefits to customers who choose one of their amazing deals, and these include access to Apple Music and BT Sport as well as international calling.